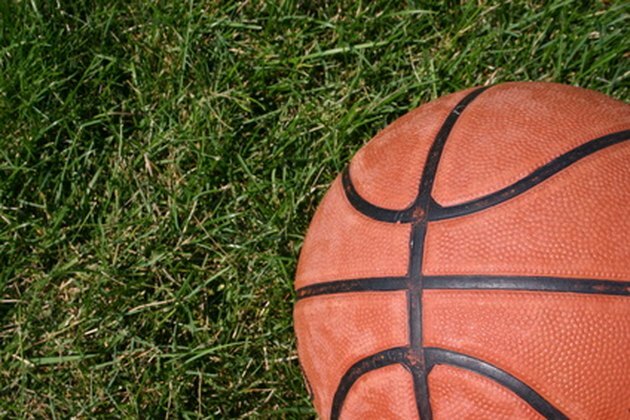 Originally, basketballs were made from leather. Some basketballs are still made with leather, while others are made of rubber or a synthetic composite material. Whether you have an older basketball or a new one, the process used to remove permanent marker is the same. The removal process isn't always successful; older stains, and stains on older basketballs that may be scuffed up so they are able to absorb the ink, may be impossible to remove. The process used to remove permanent marker is harmless, however, so it makes sense to try your hand at removal before accepting that the ink stain cannot be removed. It may be possible to remove permanent marker from a basketball. Wash the basketball thoroughly with soapy water, using a cleaning rag and laundry detergent. Rub the stained areas to remove as much of the permanent marker as possible. Rinse the soapy water off the basketball. Dampen a fresh cleaning rag with rubbing alcohol and rub the stains directly. Rinse the basketball with hot water and repeat the process of rubbing with rubbing alcohol and rinsing until you are not removing any additional ink.